Page revised in January 2017. The location covered in this page was visited in May 2009. You may wish to see an introductory page to this section with a map first. Gaziantep is one of the "Anatolian tigers", the name given to some Turkish towns because of their economic development in recent years. The growth of the population has largely modified the original layout of the town; in addition many historical monuments were damaged during the Turkish War of Independence. 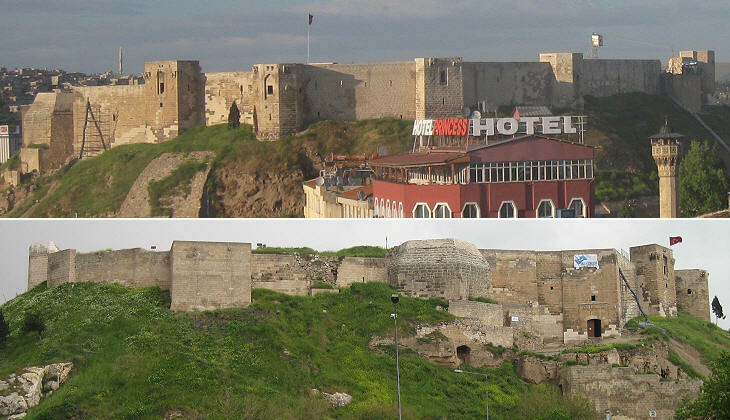 Today the fortress of Gaziantep houses a museum dedicated to the events which occurred in town after the partition of the Ottoman Empire at the end of WWI. France and Britain were given a mandate from the League of Nations to administer respectively Syria and Iraq (for simplicity reference is made to the current name of these countries). Antep (as the town was called then) was occupied by British troops which were then replaced by the French: the military presence of the two European powers in the region was rather limited; in Antep the French decided to rely on the Armenian community of the town to complement their troops and administration; this decision was resented by the Muslim population; there were killings, arrests and a general insurrection which forced the French out of town. Antep was besieged and eventually occupied again by the French. The political framework designed at the end of WWI for the Near East was based on the survival of a weak Ottoman state on the regions of Anatolia which were economically of little interest: the awakening of a Turkish identity led to the establishment of a Republican government and to a war of independence: the defeat of the Greeks at Dumlupinar in August 1922 convinced France and Britain to come to terms with the Republicans; Antep was included in the boundaries of the new state: in 1973 the town was given the title of Gazi (victorious) in recognition of the contribution of its inhabitants to the Nation. 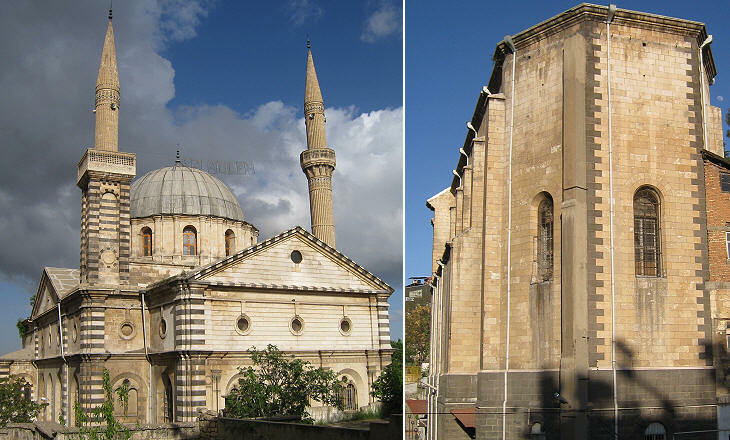 The Armenians left with the French: the imposing Neo-Renaissance cathedral they built in 1892 has been turned into a mosque by modifying the bell tower and by adding a minaret; it is located in what used to be the Christian quarter of Antep, where in 1860 Emperor Napoleon III of France financed the construction of a church in a vaguely Gothic style. Travellers who are disappointed with the monuments of the town, may console themselves with large portions of sweets having Antep fistikli as the main ingredient: the province of Gaziantep is renowned for its excellent pistachios. Gaziantep is located immediately to the east of the low ridge which divides the basin of the Orontes River (which empties into the Mediterranean Sea) from the valley of the Euphrates River (which flows towards the Persian Gulf). 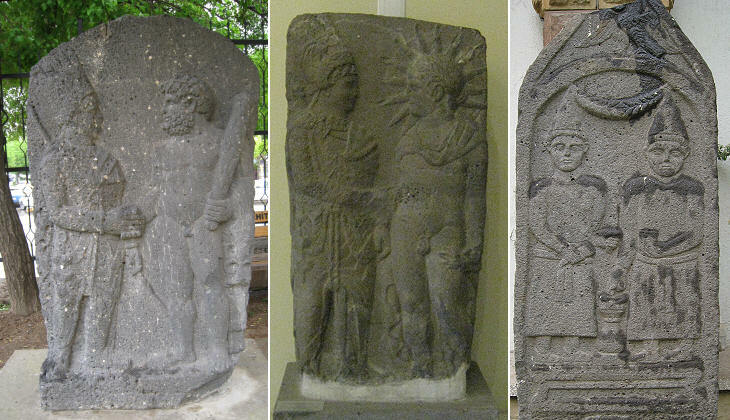 In antiquity the region of Gaziantep has seen invaders coming from the East such as Babylonians, Assyrians and Persians and from the West such as Alexander the Great and the Romans. The new Archaeological Museum of the town houses some very interesting exhibits of these ancient civilizations. 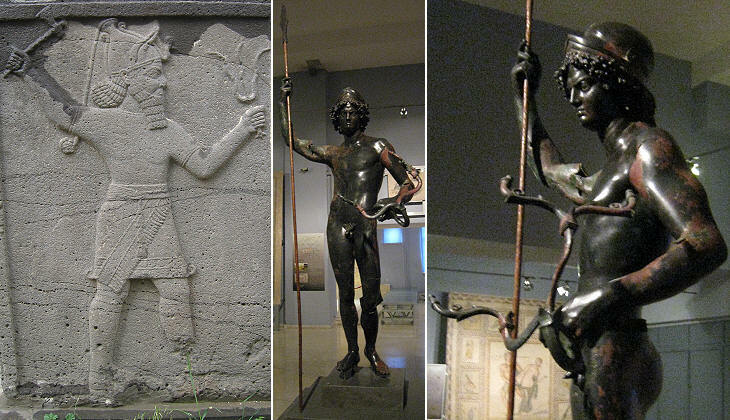 An Assyrian relief and a Roman statue show a striking similarity: on one hand the warrior and the god hold a weapon and on the other an elaborate flower: threat of destruction and promise of wealth are combined in the same work of art. Always at the edge of two worlds, the region of Gaziantep became influenced by the west in the Ist century BC when the local rulers embraced the Hellenistic culture and founded the small kingdom of Commagene, a buffer state between the Romans and the Parthians. The reliefs on display at the Museum of Gaziantep are an interesting anticipation of the Nemrut Dag tomb of King Antiochus I, the highest artistic achievement of Commagene. The reliefs portraying handshakes between kings and gods are stunning; handshakes were not a common kind of greeting habit in antiquity and certainly not in relationships between humans and gods: in addition we are not used to seeing a fully dressed person shaking hands with a fully naked one (with obvious justification the Greeks thought their deities had no reason to cover themselves). Commagene was eventually conquered by the Romans; their armies reached the Euphrates River and chose Zeugma, a small town east of Gaziantep to establish the permanent headquarters of a legion (Legio quarta Scythica) there. This because at Zeugma the river could be crossed on a bridge of boats. The town flourished and the Roman officers commanding the legion built for themselves several villas. Because the site of Zeugma has been drowned by the effects of a dam on the Euphrates, Turkish authorities have relocated to Gaziantep the mosaics which were uncovered in these villas. Owing to the number, quality and variety of its mosaics, the Museum of Gaziantep can be compared to that of Antioch: archaeologists of many countries have helped their Turkish fellows in excavating Zeugma before it was drowned and in the analysis and restoration of the findings. 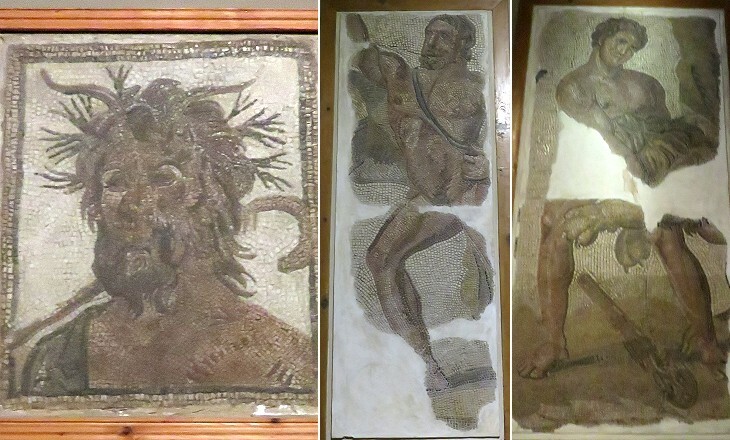 Turkish authorities have managed to recover fragments of mosaics which were smuggled abroad and sold to collectors and eventually foreign institutions. 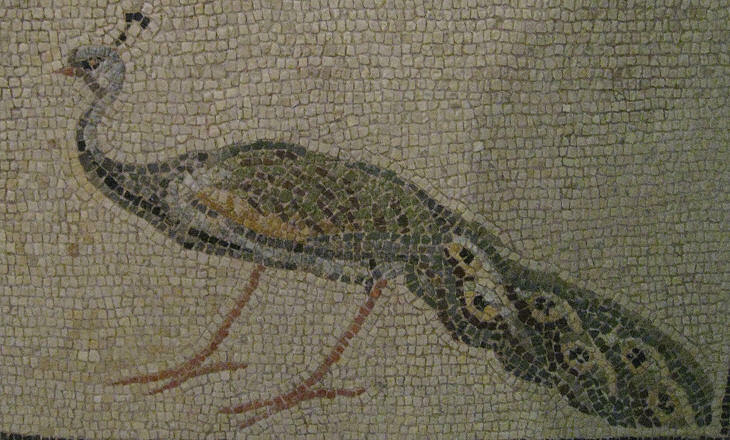 The museum is housed in a new building which was designed to allow the display of the mosaics, which in some cases are pretty large. Roman baths were often decorated with sea creatures and gods and this penchant for marine subjects was adopted by the rich owners of villas at Zeugma, one of which had the floor of a pool covered with a large mosaic portraying Ocean and Thetys. 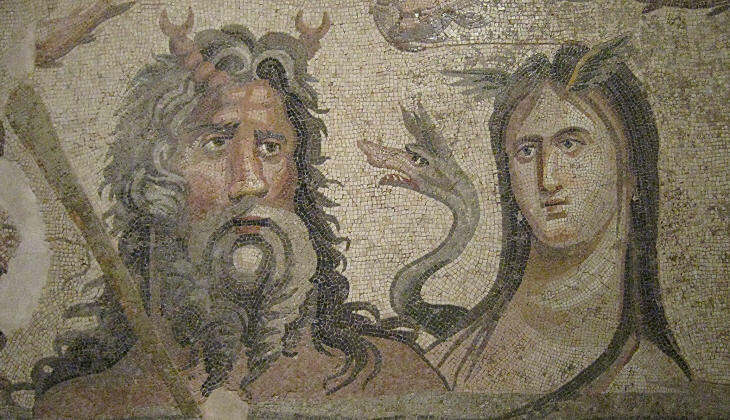 The Greek myth and the poems by Homer were a source of subjects for the mosaicists of Zeugma: it is likely that they copied widely known paintings (maybe from decorations of vases). This must have been more likely when the scene was very complex with several characters overlapping. 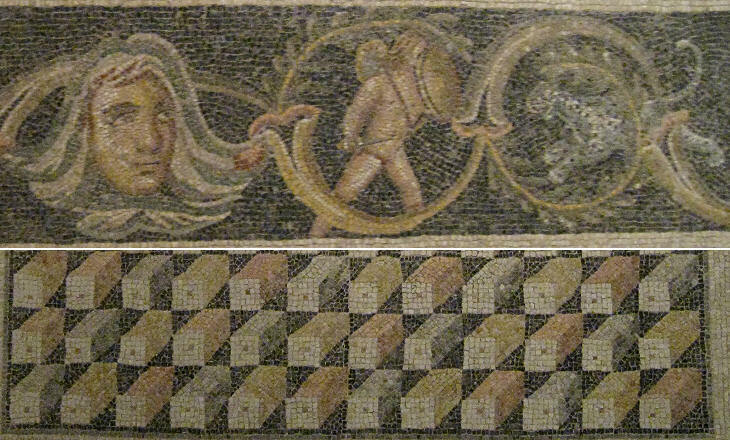 Many mosaics are hung on the walls of the museum; the largest ones are placed on the floor of a hall dedicated to them. Love stories and especially unhappy love stories always had their fans. 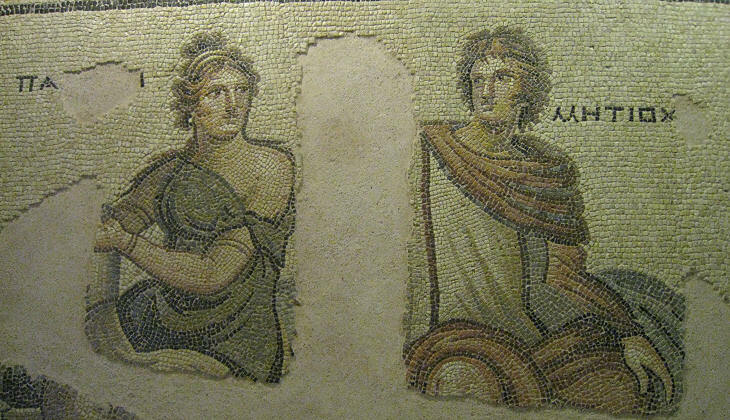 Parthenos means virgin; Parthenopes was a young woman who vowed to remain chaste; she was happy with her life until one day she met Metiochos, a Phrigian prince (in the mosaic he is portrayed as a Roman). It was love at first sight, yet Parthenopes decided not to break her vow; she cut her fair hair and she left Greece for Italy. Venus, irritated by the woman's refusal to accept love, turned her into a siren; when Parthenopes died the waves gently carried her body to the shores of Naples (Partenope is the alternate name of the city and partenopeo is an Italian adjective to say Neapolitan). Zeugma Mona Lisa and The Gipsy Girl are the names given to a fragment of a mosaic found in Zeugma: it has become the symbol of the Museum and of a marketing campaign aimed at encouraging travellers to visit Gaziantep. 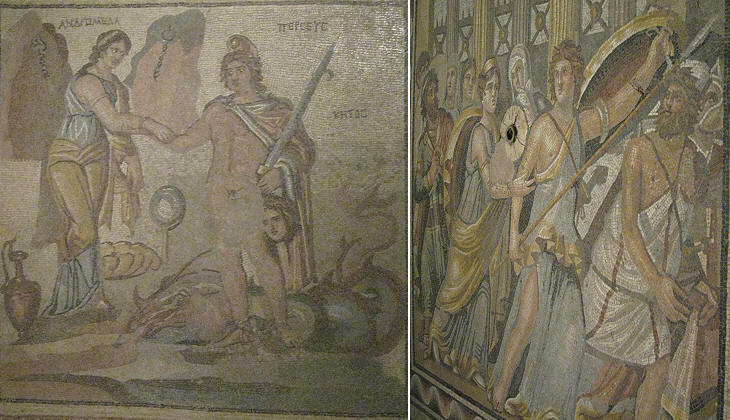 As a matter of fact, most likely the mosaic portrays Alexander the Great, because the hair is a man's hair. Women were usually portrayed with long and elaborately combed hair (see Parthenopes and Metiochos and Achilles at Skyros), whereas the traditional iconography of Alexander the Great is that of a man with tousled hair.